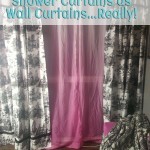 Creative Curtains: Shower Curtains as Wall Curtains…Really! I love taking things that are designed for one thing and using them for a completely different purpose. Old cashew containers for storage jars. Shoe boxes for filing greeting cards and thank you notes. 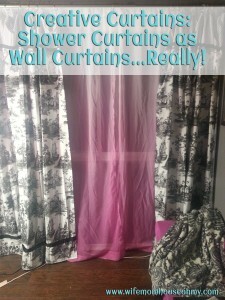 Wall curtains for upholstery of desk chairs and kitchen chairs. 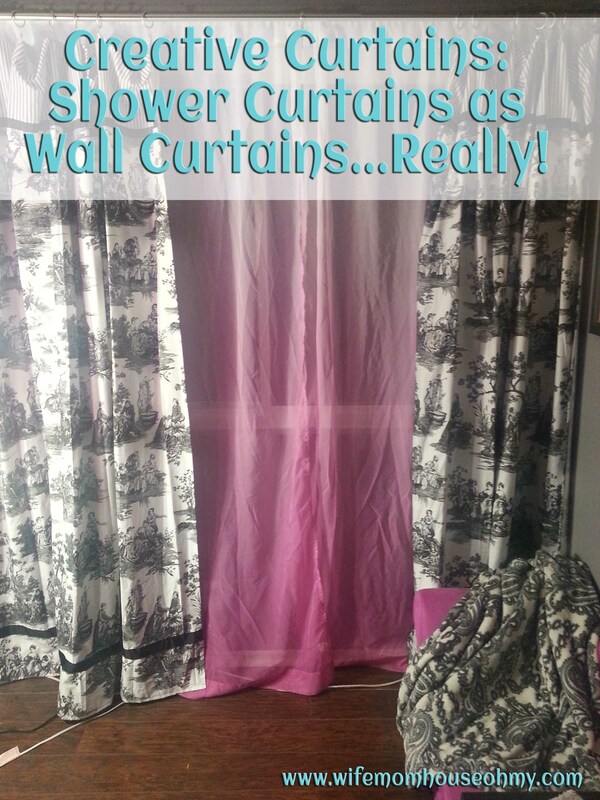 And my latest…shower curtains for wall curtains.